A windmill stands in a field of colorful Texas wildflowers just north of Poteet, Texas. 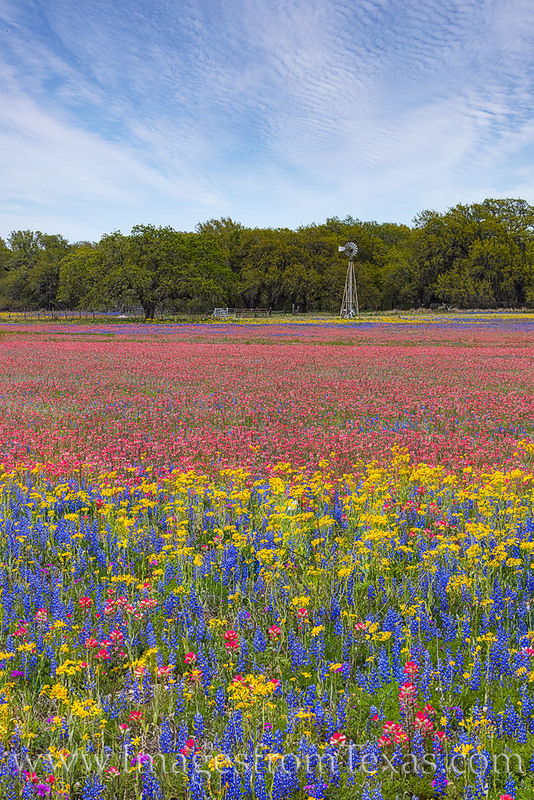 Made up of bluebonnets, Indian Paintbrush, Groundsel, and Phlox, the colorful and vibrant blooms of this field made it one of the best landscapes of the spring flower season. Photo © copyright by Rob Greebon.